The Star Beacon is a thermal combat ID beacon for covertly marking blue force personnel and vehicles. It emits no visible signature and is undetectable by conventional image intensifier-based night vision equipment. The Star beacon has an optical output of approximately 2300 mW in the mid-wave IR band (3 to 5 micron). 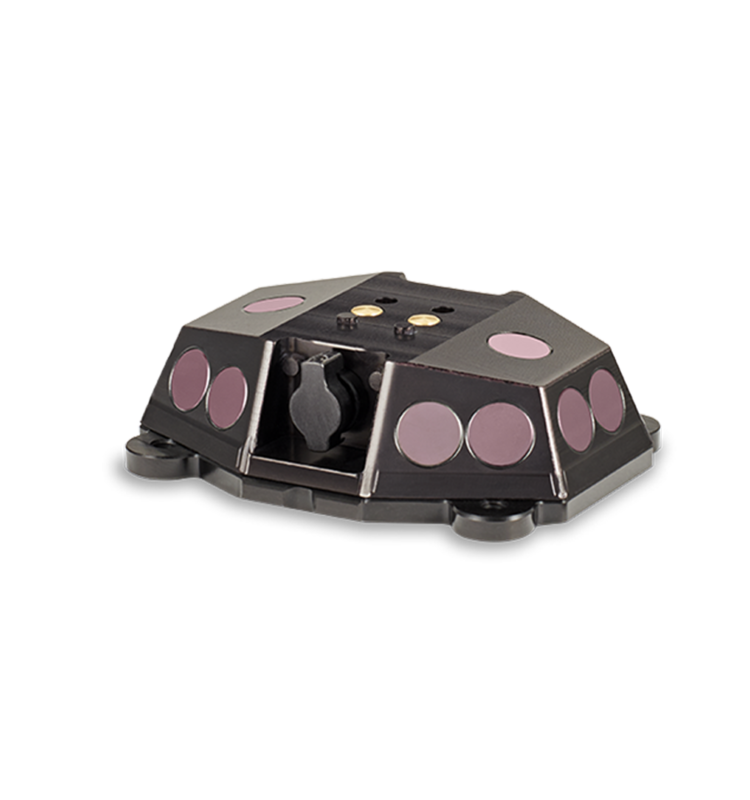 The beacon emits in a full hemispherical pattern for high visibility by air or ground mounted thermal imaging systems. The emitter head, battery pack, and mount system can be easily configured for use on a helmet, vehicle, MOLLE vest, or pack. Multiple Star Beacons can be wirelessly synchronized to flash in unison. Battery pack with (6) 123 batteries provides 5 hours of continuous run time. Also runs on external power, 12 to 32 VDC.